Keeping your face clean is part of your daily hygiene needs and should be part of a regular ritual that you engage in every morning and evening. 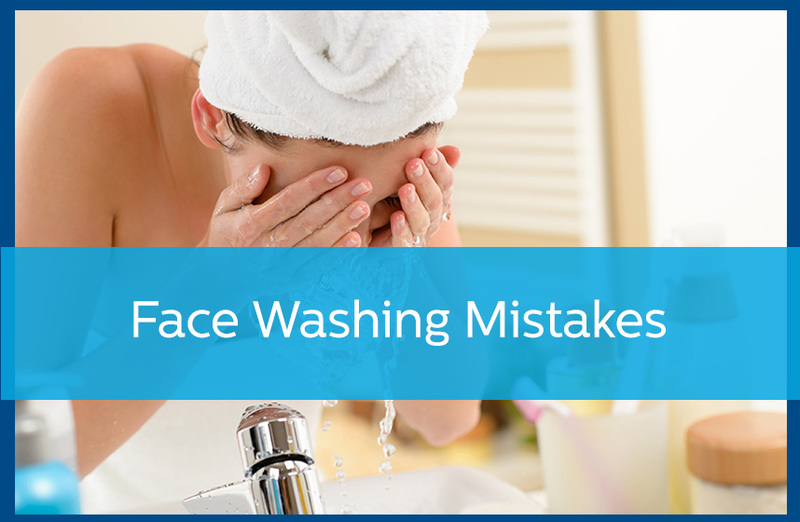 However, as simple of a task as it may seem, you may be surprised by how many people make basic mistakes with their skincare routine—and how these seemingly small mistakes may actually have a huge impact on your skin’s health and daily appearance. You aren’t using the right cleanser. There is no such thing as a one-size-fits-all facial cleanser. Choosing the right type of cleanser for your skin will help provide the right type of support for your facial needs. The wrong cleanser can cause your skin to become too dry, too oily, or even inflamed. If your cleanser isn’t working that well, or if you are experiencing any degree of irritation, then it is time for a new cleanser. Irritated skin is red, tight, dry, and prone to little pinpoint bumps. As a rule, true soaps like Irish Spring and Ivory are too harsh for use on the face. You aren’t applying the cleanser correctly. There are plenty of tasks in your daily routine that you want to rush through, but taking care of your skin cannot be one of them. You are taught from a young age to take your time brushing your teeth—well taking care of your face needs to have the same approach. When you apply cleanser, make sure to massage your facial skin in small circles, using only your fingers—you should not scrub with harsh materials—then rinsing with handfuls of luke-warm water. Then, be careful to pat dry with a soft towel. Ideally, no wiping, and no rough towels. Treat your face gently to prevent inflammation! You aren’t cleansing morning and night. Washing your face before bed is good practice, especially if you wear makeup! However, this isn’t the only time your face needs attention. You should be cleansing every morning, as well. Starting your day with a quality cleanse can give your skin the boost it needs. Finally, a quick splash with lukewarm water after football practice or a volleyball game can help rinse away sweat and oils before they have a chance to clog pores. You aren’t removing your makeup completely. Most makeup products are designed to withstand a little bit of water exposure, which is great for days that leave you in tears, but not so great for when you are trying to quickly wash your face. Remember that you can’t just splash the makeup away. You need to gently wipe it away with the appropriate and necessary cleanser. You only have one face, so take care of it the best that you can! Take your time to wash thoroughly every morning and evening for the best facial results. If you need a bit of help getting this process worked out, contact us to consult with a dermatologist.